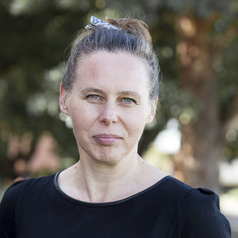 Teresa Swist is a Postdoctoral Research Fellow at the Institute for Culture and Society. She is part of the Young and Well Cooperative Research Centre's Safe and Well Online Opens in a new windowProject (researching social communications in the promotion of young people's safety and wellbeing). Teresa's doctoral thesis 'Becoming a creative practitioner in a complex society: Fostering a capability approach in higher education pedagogy' explored student, academic and professional perspectives of creativity from a social-ecological perspective. Her research interests span the interplay of knowledge, cultural and creative practices and unfolding discursive-material relations. Teresa has a background in secondary school teaching and management, as well as higher education professional development.